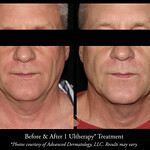 Introducing Ultherapy now at Advanced Dermatology for men and women! 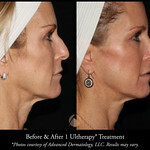 This new ultrasound treatment, cleared by the FDA will tighten and lift loose skin under the chin and neck. 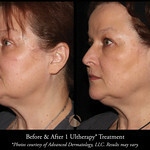 You will notice a sleeker jawline of the lower face. 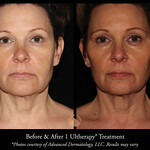 Ultherapy is also approved by the FDA to improve lines and wrinkles on the chest. 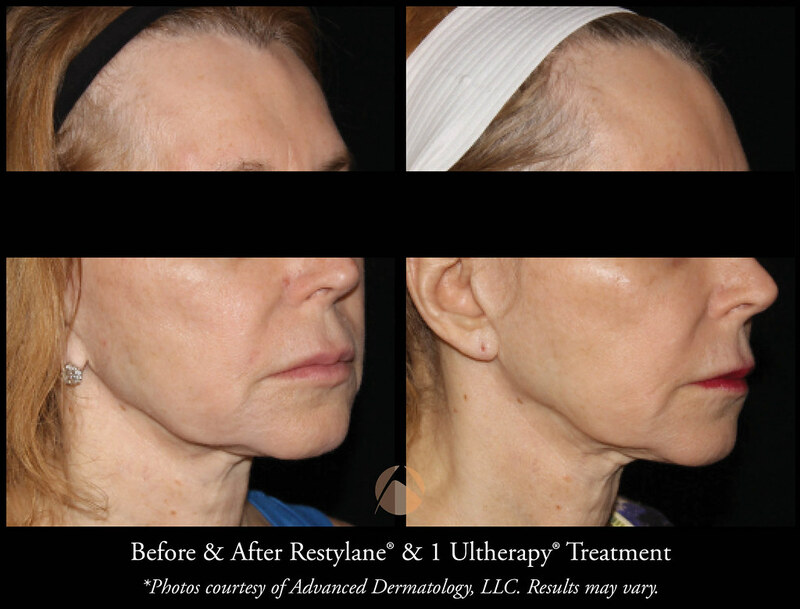 With no downtime, you can return to your activities while your own collagen builds over time tightening loose skin after just one procedure. 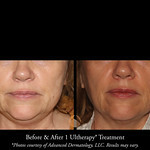 Most candidates can see results after one treatment. 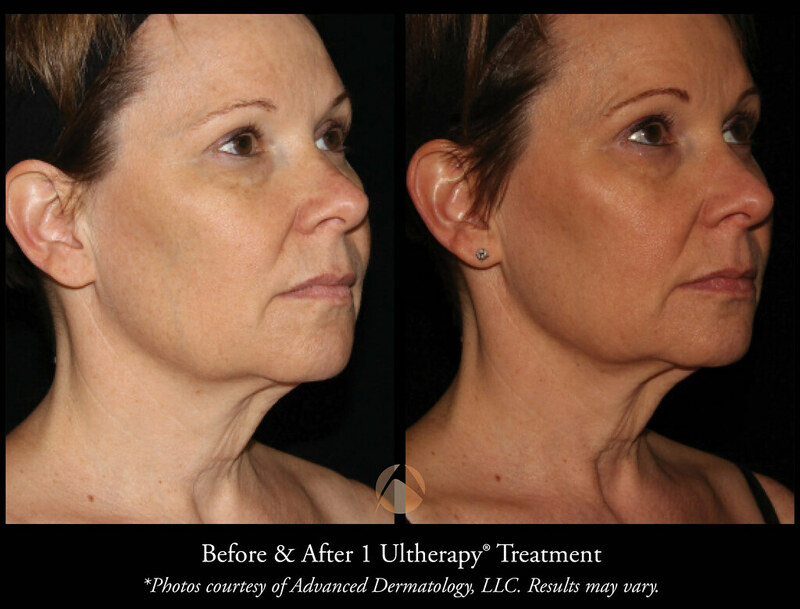 Ultrasound works to rebuild your own collagen under the surface of your skin by dispersing focused energy to create tightening and lifting of your skin. 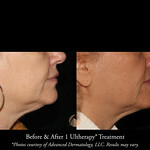 Over time, gravity pulls our skin downward resulting in a sagging appearance. 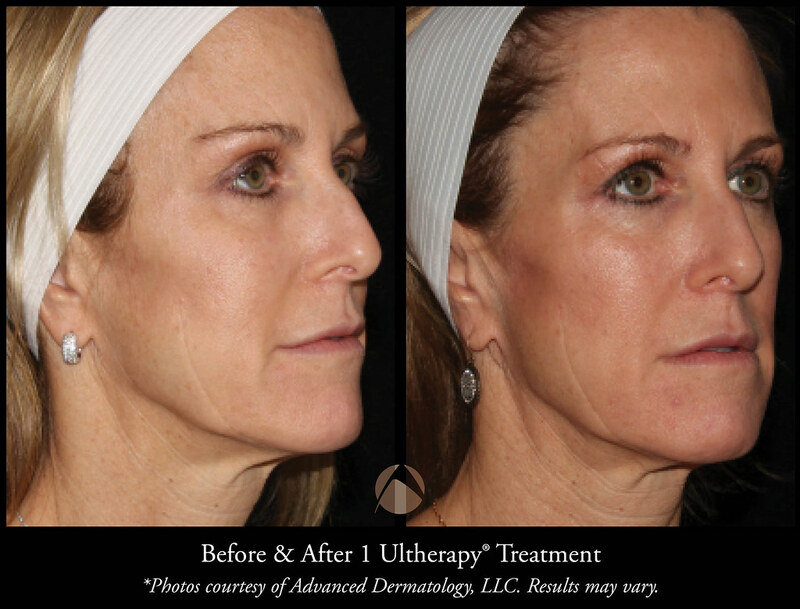 Ultrasound assists in jump starting the production of new collagen to give you a tighter appearance around the areas being treated. 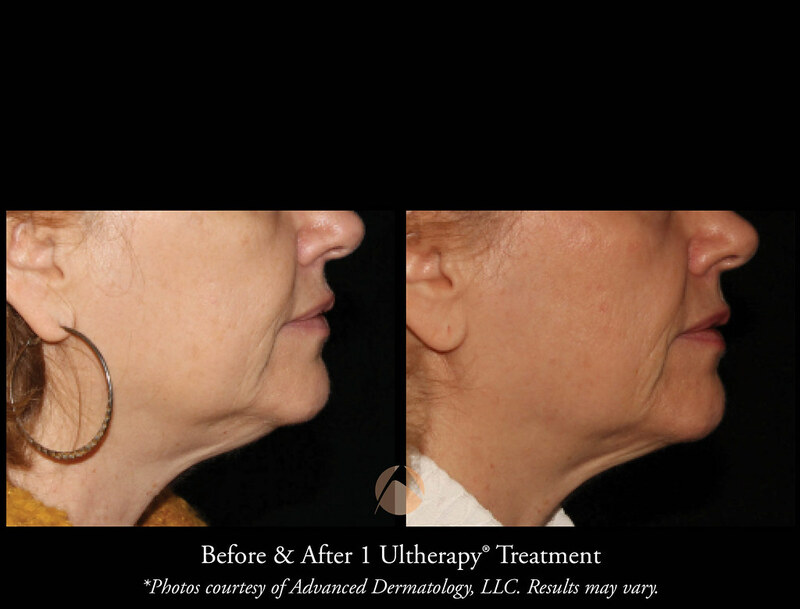 Ultrasound energy has been safely used in the medical field for over 50 years. 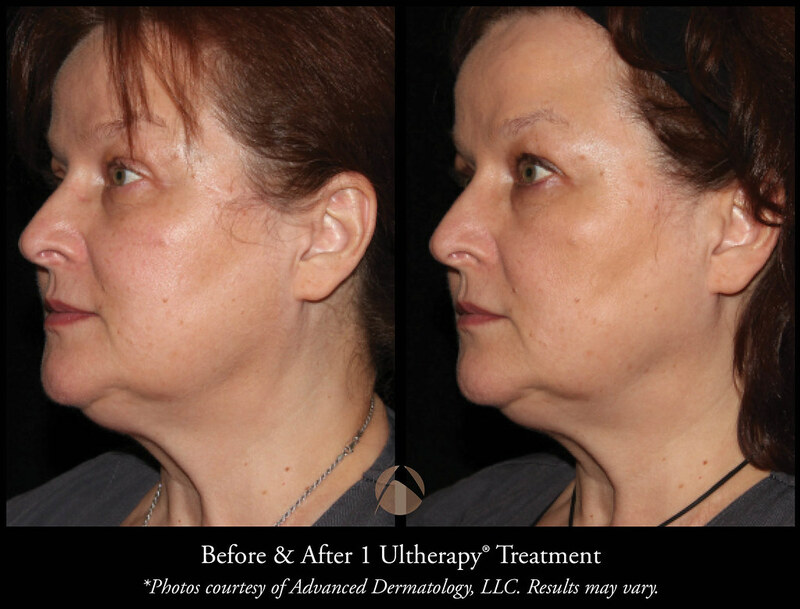 Ultherapy results will start to be visible over the next several months but some patients have seen an improvement over a 6 month period. 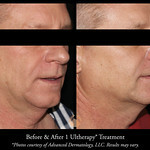 Results may last for up to 2 years. 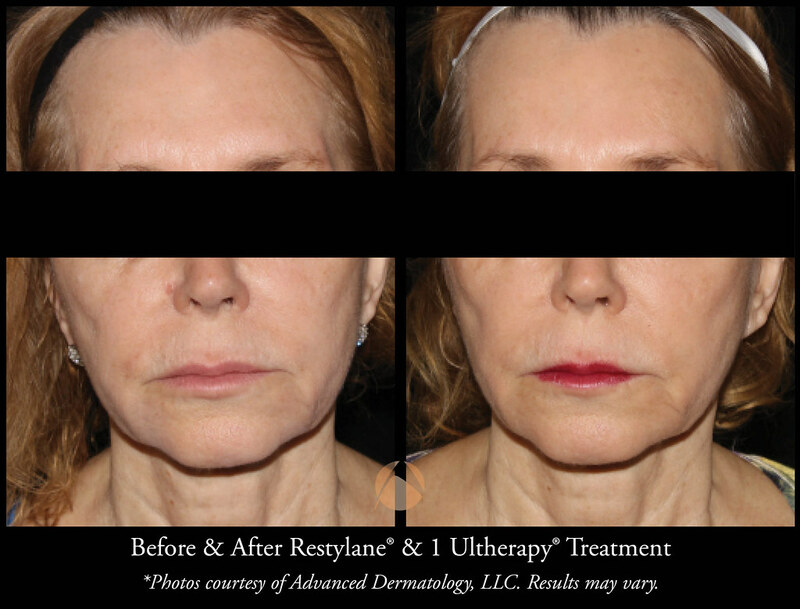 Post treatment, which can last 30 -120 minutes depending on the area, your skin may appear flushed, but redness should disappear within a few hours. 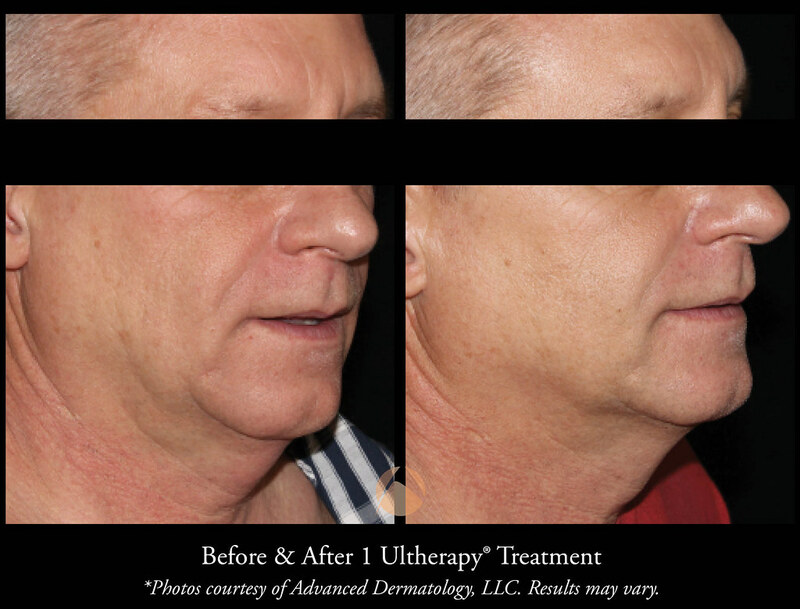 Few weeks following the procedure, you may experience minor bruising, tingling, tenderness and numbness to the touch and experience slight swelling for a few days, but these sensations are temporary and usually mild. 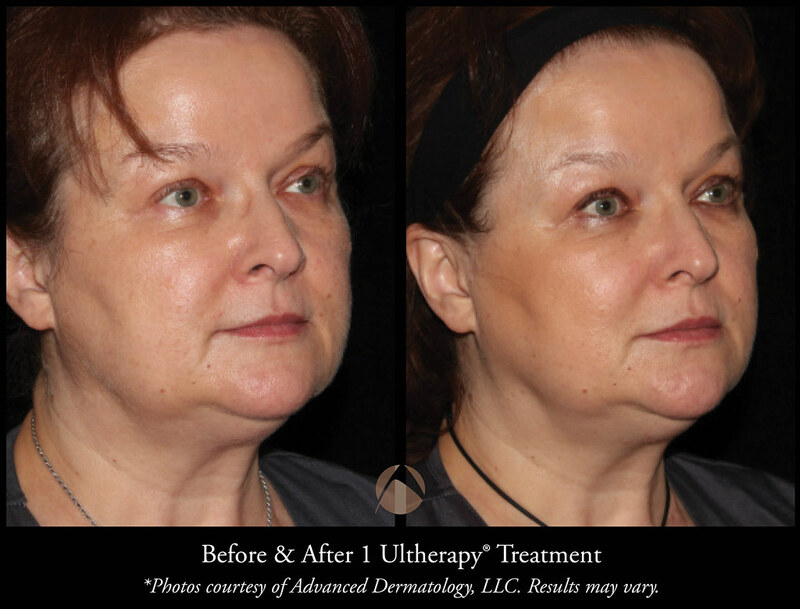 Whether you are looking to lift sagging skin due to aging or want to prevent your skin from losing elasticity and firmness before you begin to see loose skin, Ultherapy can be your choice over a facelift. 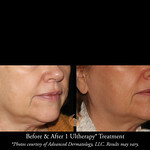 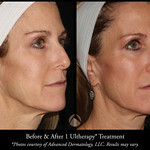 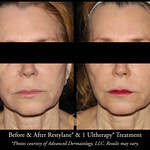 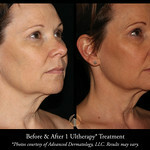 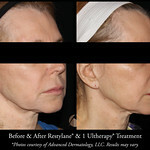 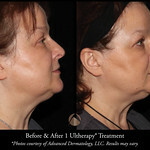 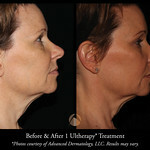 If you had a facelift in the past and want to maintain results, Ultherapy is a great option to maintain your results. 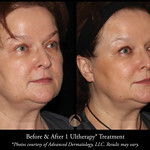 *15% of patients and patients with a BMI of over 30% may see a lack of results from an Ultherapy treatment. 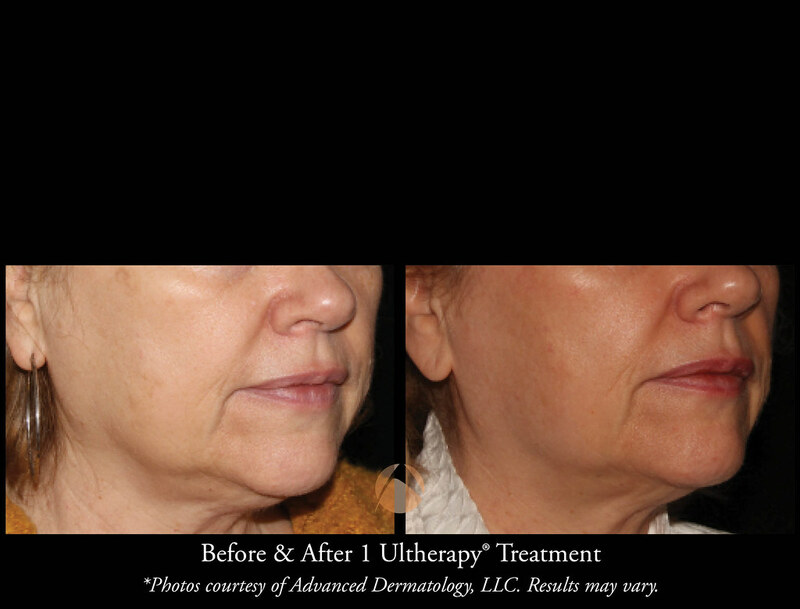 The fees for Ultherapy are based on the areas being treated, but the cost is usually around $3,500. 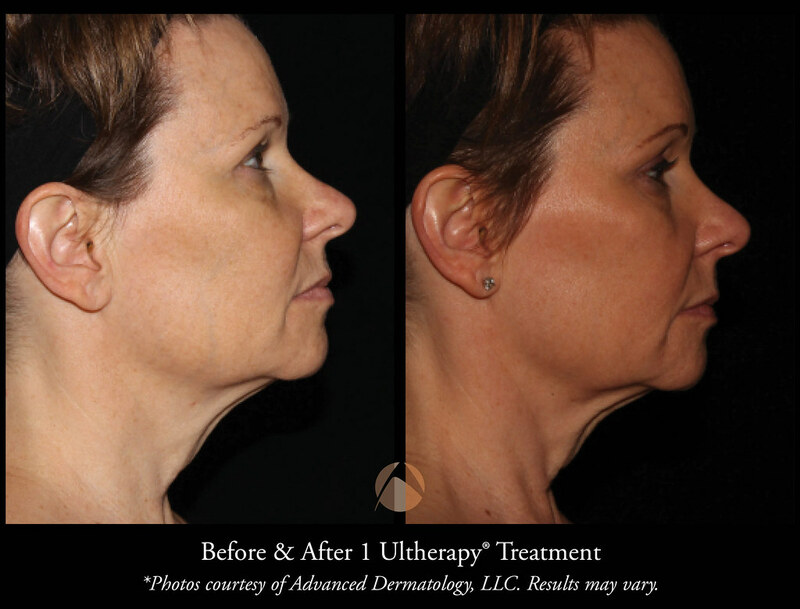 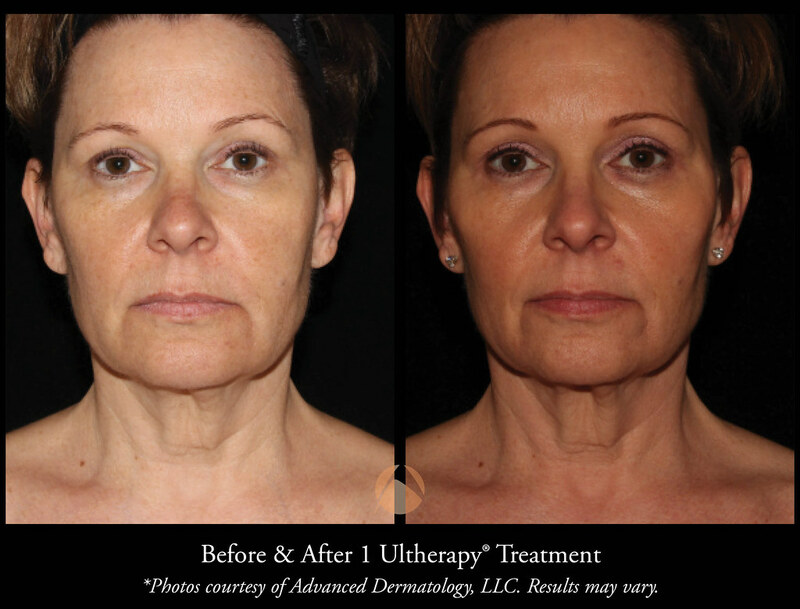 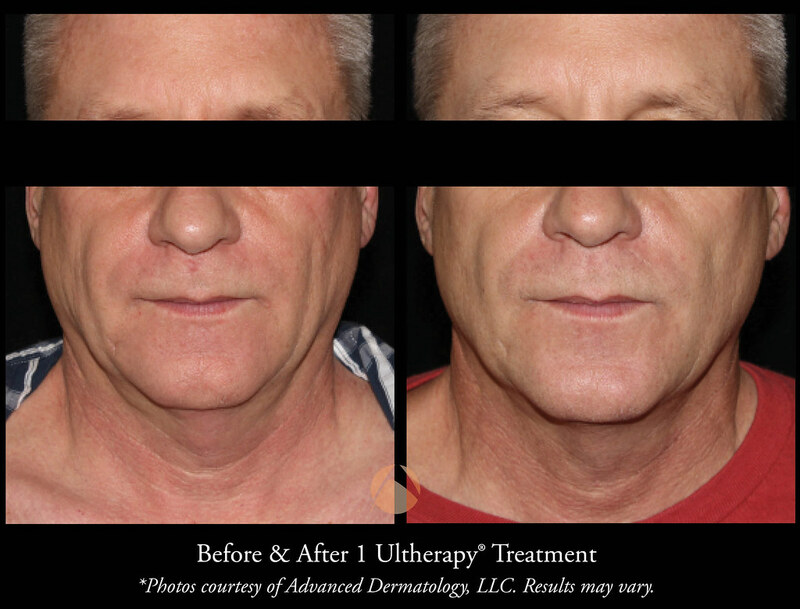 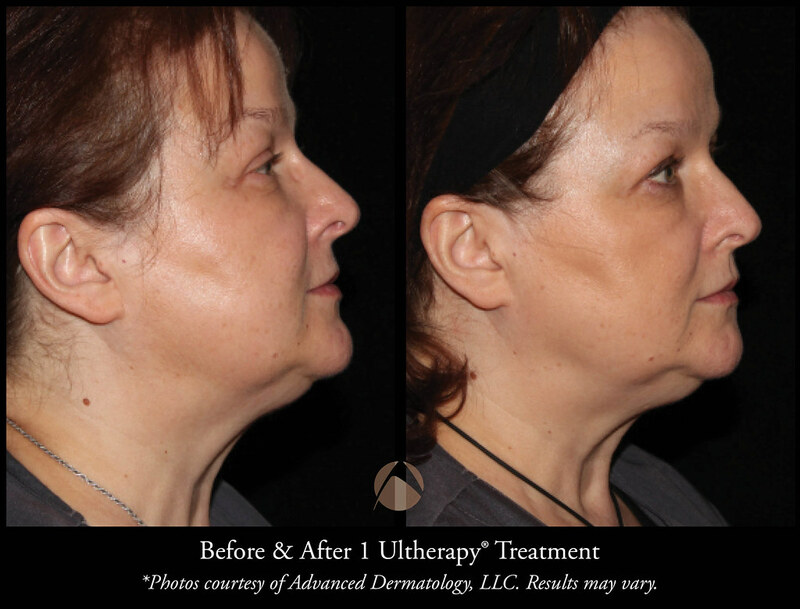 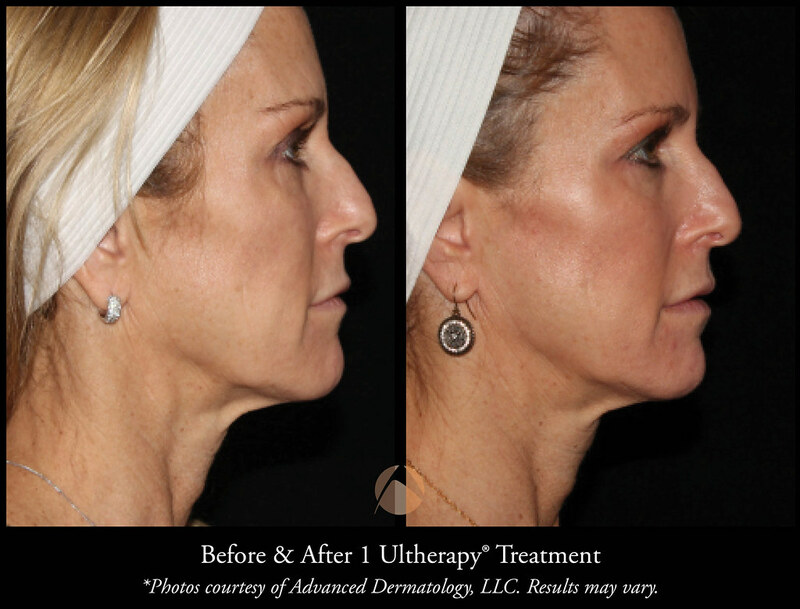 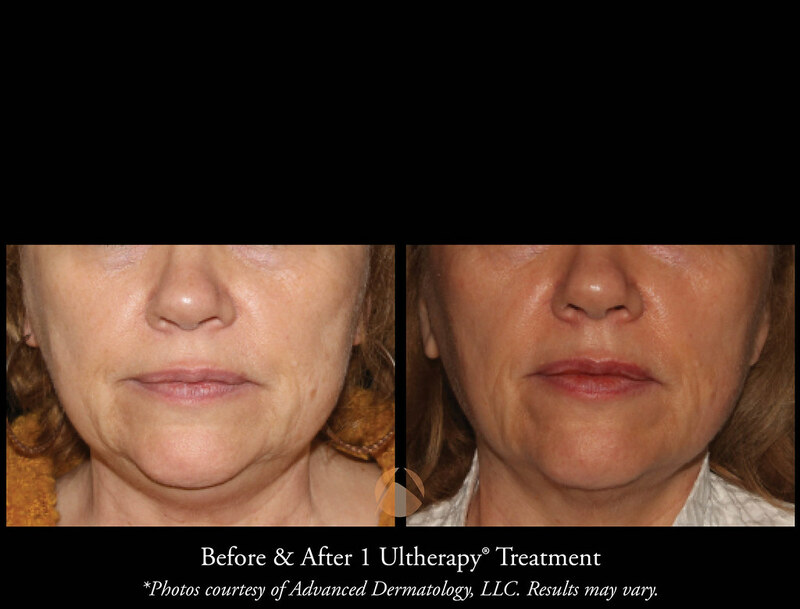 To Learn more about Ultherapy, please call 847-459-6400 or contact us to make an appointment with one of our cosmetic coordinators.